Domaine Rousseau did not put a step wrong back in 1985. At the time I didn’t care. I was at school, befuddled by trigonometry and traumatized by English grammar and, in any case, the current Burgundy vintage was never on the school curriculum. But in recent years I have been fortunate enough to taste most of Rousseau’s 1985s here and there and always come away with a spring in my step. Perhaps it was the influence of Eric Rousseau, who joined his father Charles in 1982 and introduced crop thinning and more organic viticulture in the vines. 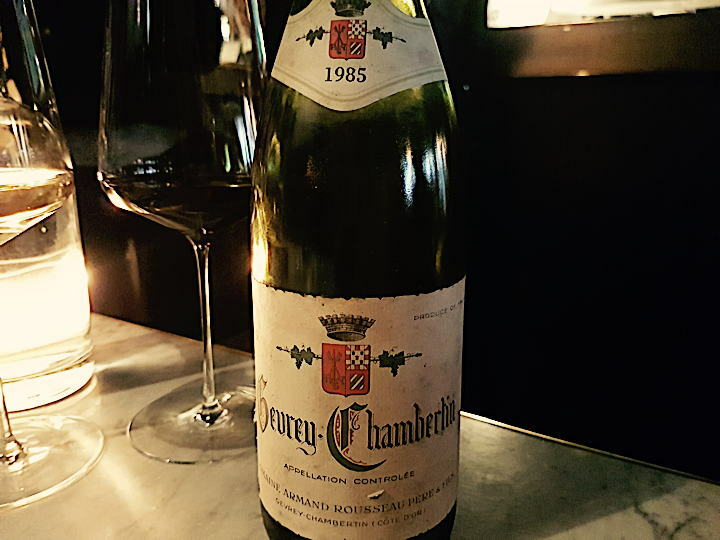 Most of my Rousseau-shaped encounters apropos 1985 predate the Domaine’s elevation to blue-chip status, before prices shot up into the “WTF” category. Sure, these days I could spend my children’s college fund on a bottle of 1985 Chambertin, but I don’t think that would go down well with my offspring as they desperately search for job without a degree.